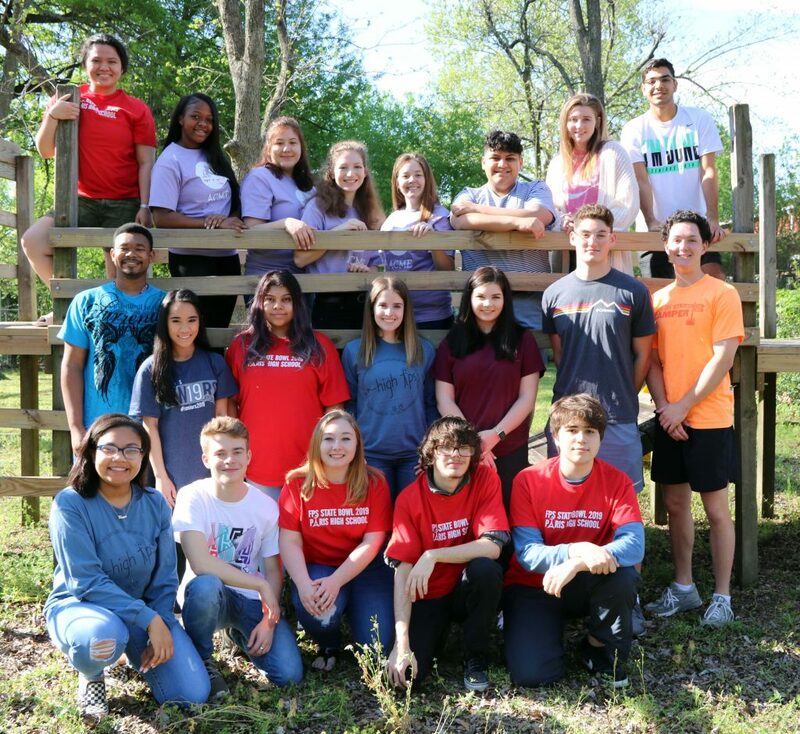 For the second year in a row, a record number of Paris Independent School District students will participate in the Texas Future Problem Solving Program’s State Bowl. One hundred and three (103) will compete in San Marcus on April 13-15. Crockett Intermediate School students captured two Texas Grand Champion titles in Community Problem Solving. Anna Grace Blassingame’s individual project Operation Feisty Force and the team project Operation Paris Pride automatically advance to compete at the International Competition at the University of Massachusetts – Amherst in June. Team members are Cate Biard, Caleb Echols, Olivia Fitzgerald, and Grant Frierson. The students will present their projects at the State Bowl and represent Texas throughout the International Competition. They are coached by Debb Fleming. In the state Scenario Writing contest, Paris High School student Davis Green placed first and will represent Texas at the International Competition. PHS students Harmon Ragsdale and Hana Syed placed second and their scenarios advance to the International Competition for scoring. PHS student Mikaila Rogers and Paris Junior High School student Shravya Singh placed fourth in Scenario Writing. These students are coached by Sandra Strom, Jill Stone, Angie Black, and Lisa Lipstraw. Crockett students Grant Frierson and Olivia Fitzgerald made finalist in Scenario Writing Performer competition and will compete at State Bowl for a chance to advance to International competition. They are coached by Debb Fleming. In Team Problem Solving, twenty-one teams won bids to compete. These include ten teams in the Senior Division (grades 10-12) coached by Sandra Strom and Dr. Janet Dickey, eight teams in the Middle Division (grades 7-9) coached by Jill Stone, Brent Wilburn, and Lisa Lipstraw, three in the Junior Division (grades 4-6) coached by Debb Fleming, and two in the NOVICE Junior Division (grade 4) coached by Tammy King. Two students coached by Sandra Strom and Jill Stone will compete in Individual Problem Solving.